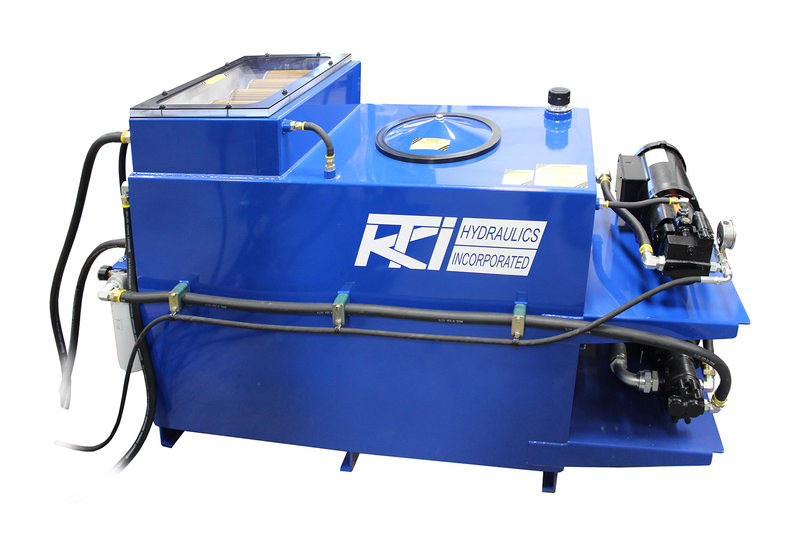 KWR-004 Wireless Controller – KTI Hydraulics, Inc.
a. Select desired mounting location preferably in a sealed box not exposed to the elements. 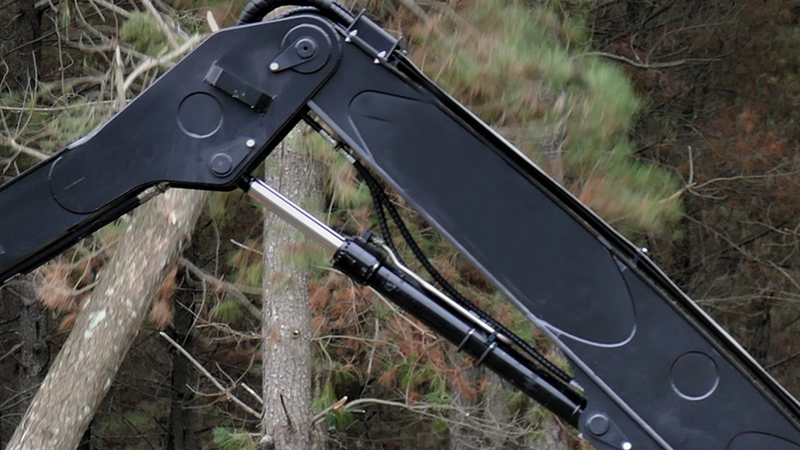 b. Antenna must be mounted outside, not in metal box away from mechanical, moving parts. 2. Connect the Male Pin Connector to Power Unit. 3. Connect positive (Red Wire) & negative (Black Wire) ring terminal to Hydraulic Power Unit. a. Connect (+) Red wire to the same terminal on Start Solenoid as positive cable from the battery. b. Connect (-) Black wire to the Ground terminal on the motor or negative terminal on the battery. 4. Connect Remote Pendant to Female Receptacle Connector on Wireless Receiver. 5. 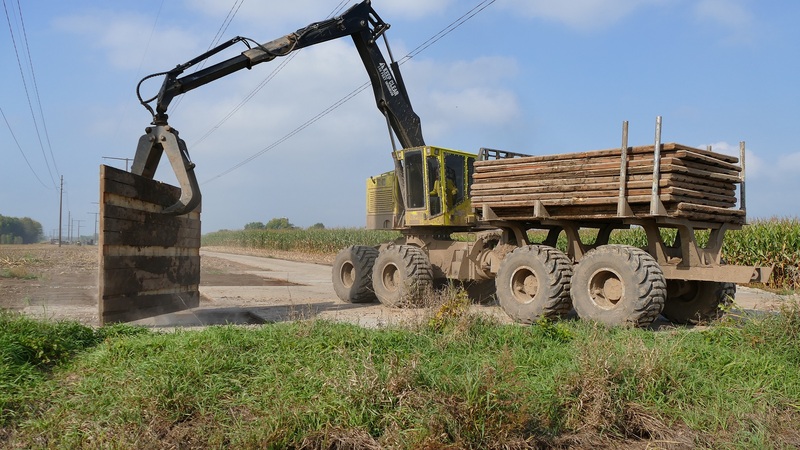 Operate your Wireless Remote and Remote Pendant to insure proper functionality. 1. To turn power ON or OFF, press both buttons 1 and 2 simultaneously. When the receiver is OFF, the LED indicator will not illuminate. When the receiver is ON, the LED indicator will flash GREEN every 5 seconds to show that the receiver is connected to a power source above 9 Volts. If the power source is below 9 Volts the LED indicator will flash RED every 5 seconds. NOTE: Wireless Receiver will not operate below 8.5 Volts. 2. When receiver is ON, pressing any button on key fob, the LED on receiver will remain ON. LED light cuts off when the button is released. 3. 20 Minute Shut-down Mode – Receiver shuts down after being idle for 20 minutes. a. Press both buttons 1 and 2 simultaneously to turn the receiver ON. b. In Shutdown Mode; the Remote Pendant is still active. 1.) 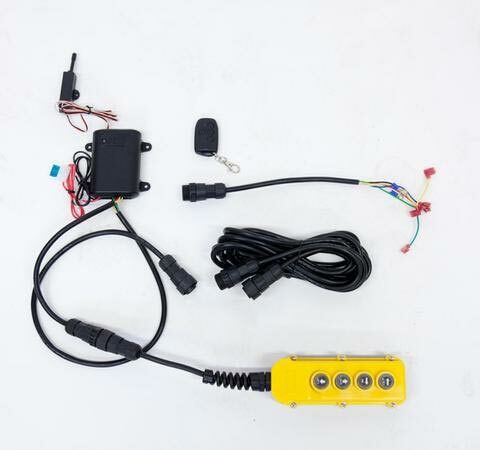 Remove wired hand control (Remote Pendant) to prevent accidental operation. 2.) Using Needle Nose Pliers, place the Programming Sleeve (Shunt) on Pin 1 and Pin 2, to activate Programming Mode. 4.) 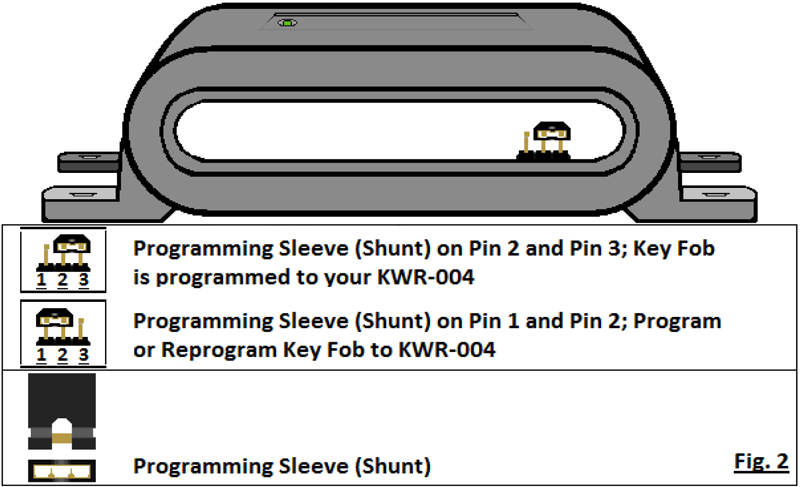 Return the Program Sleeve (Shunt) back on Pin 2 and 3 to end Programming Mode. 5.) You may program up to 4 Key Fobs to one Receiver. When programming a 5th Key fob, the Receiver will drop the 1st programmed key fob. NOTE: To program multiple Key Fobs, while the KWR-004 is still in programming mode (the LED indicator will flash Red) Press any button on the Key Fob, when the receiver has stored the signal from the Key Fob, the LED indicator will flash Green for 2 seconds; then will flash Red to confirmation the frequency has been stored.